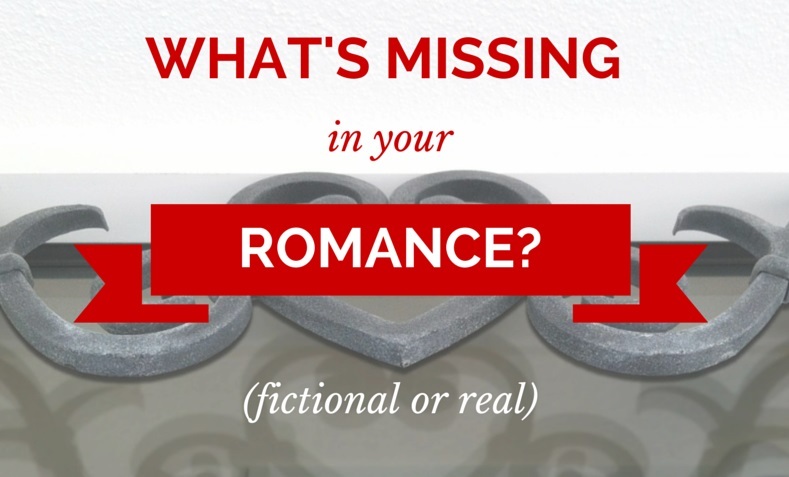 Have you read a book or watched a movie where the romance seemed forced or unwarranted? It’s happened to me many times and happened again just last night as I watched a Nicholas Sparks’ movie. The guy had all the right qualities: good-looking, funny, sweet, smart, tall, and rich. The girl was beautiful, talented, witty, and intelligent. And I couldn’t believe he’d fallen for her. Seriously. I stared at the screen thinking, “Dude, you can do better than her!” Which was sad because the story had all the right elements. Romance is my favorite genre, and yet I see this happen time and time again. Even in my own book. Six months ago, as I worked on my latest novel (Liberty, bk 2 in Citizens of Logan Pond), I realized the romance aspect was falling flat. I couldn’t figure it out. Book 1 seemed to have the right sparks. I adored the two main characters. But in the second book, something was missing. It felt like I was trying to convince the reader why they still loved each other, when at times I wasn’t even sure myself. The best romances aren’t just about two people who are beautiful, smart, talented, or witty. They aren’t just about two people who are attracted to each other. The best romances are about two people who care about each other. Which means they do nice things. Not just to other people–although that’s important–but they do nice things for each other. Sounds simple. Sounds obvious, right? And yet, since that realization six months ago, I’ve found several romances lacking those basic qualities. And those were the same ones falling flat. Last night’s movie, the guy went out of his way to do sweet, thoughtful things for the girl. I had NO PROBLEM believing the girl had fallen for him. But the girl? As wonderful as she was in her own story, she never did anything nice for the guy during the entire movie. Which is why I figured the guy could do better elsewhere. In Pride and Prejudice, the greatest fictional romance of all time, Darcy saves Elizabeth’s little sister from an embarrassing marriage–which in turn, saves Elizabeth’s entire family from public scorn. This doesn’t benefit himself. In fact, it costs him financially and somewhat socially. His servants adore him. His friends do, too. And it’s these moments that change Elizabeth’s–and the reader’s–feelings towards him. In return, Elizabeth is kind to his sister, Georgiana, saving her from the Bingley sisters’ scoff. She is kind to his cousin and his best friend. She even stands up for Darcy with his overbearing aunt. All the best romances seem to have these little moments of kindness, service, and charity. Sometimes they’re seen by the other character. Sometimes they’re not. Usually they’re subtle. But observers notice, and this makes us root for them. With my own book, I went back to the beginning and added a few moments of the love interests doing something for the other, nearly unseen. It’s amazing how much that changed things. Suddenly I was rooting for them again. The bonus of this is it allows characters to be deeply flawed but still lovable. If they’re willing to sacrifice for the person they adore, to put their own interests behind the other’s–even in small ways–we forgive them for other weaknesses. We cheer for them when they find happiness. So that’s my writing tip of the day. If your romance (fictional or real life) is lacking, check to see if there is any kindness involved. Little moments. Big moments. Whatever. It’s amazing how far a nice deed can go. Which reminds me of a hilarious–but true–video about having a happy marriage. Have you noticed this in romances? Where have you seen this done well? Comment here. Fantastic! I’m not a romantic person, but I try to always be kind. Maybe that’s why my hubby (who is very romantic) puts up with me. lol This post will help me so much in my writing, because even though I don’t write romance, every good story has some elements of romance in it, right? Thanks for all your great insights, Rebecca! Thanks. You are definitely a kind-hearted person. It shows through your writing, by the way. :) Good luck on those romances. Another very practical and useful tip. I don’t go to Nicolas Spark’s movies any more because he manipulates his character and then creates a “manufactured tragedy”, or “tears by the number.” Ugh!!! I used to read more Nicholas Sparks, but each one seems to be missing something for me at least. This story had potential if the girl just could have been a little nice to the guy. It’s too bad. I feel like the world is out to make such strong female protagonists that they’ve lost the importance of simple kindness. Someone can be nice AND strong. 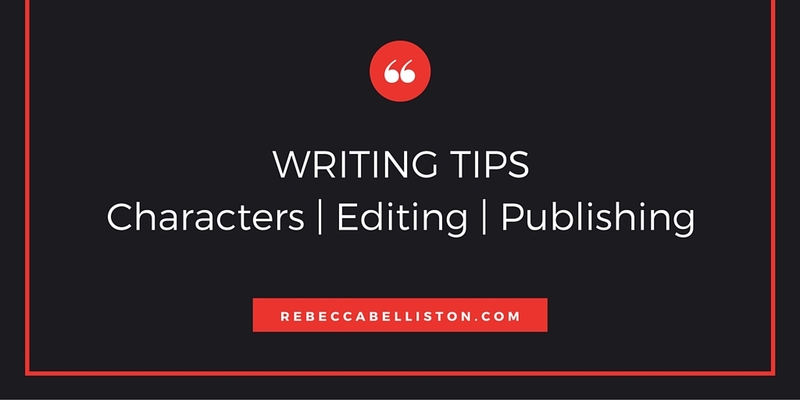 I always love your writing tips. You boil it down to the nitty gritty, and I love that. Thanks. I will watch for this now that you’ve pointed it out. It’s such a common sense truth, but probably easy to forget when we get into writing and plotting. Great post. I’ve steered away from the romance genre in both books and movies and I think you just helped me understand why. So many times the romantic ending was completely unsubstantiated. The math wasn’t there because the characters weren’t nice to each other. It also explains why we go back to Austen every time for real romance. Nicest. Guy. Ever.